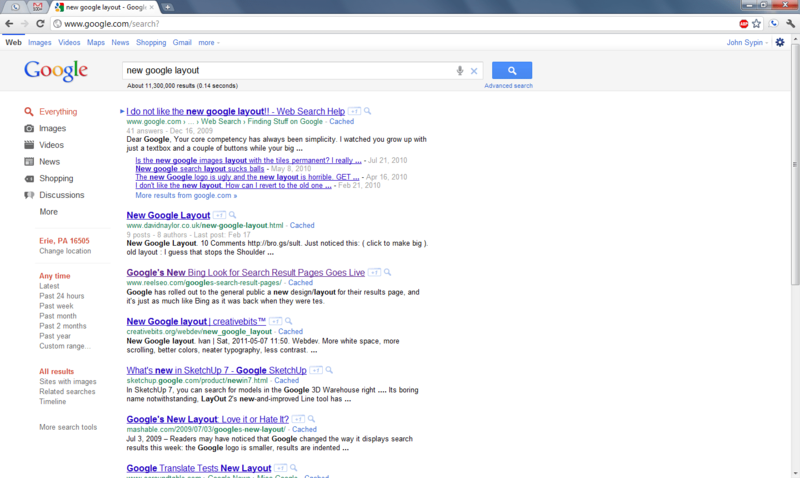 Just notice Google is testing a new layout. Looks good hope they keep it and replace the current one. This entry was posted in Uncategorized on June 24, 2011 by John Sypin.